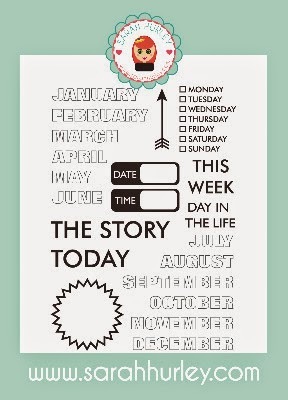 Today I'm (Clare) sharing with you my March calendar layout, once again it's a journal page and looking at this will be a good reminder to myself and perhaps to you too. 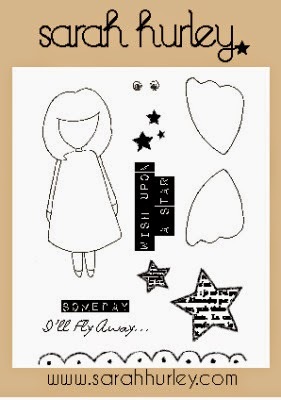 1- Using black memento ink stamp the main (girl) image directly onto smooth white card. 2 - Create a mask of the girl, I used a large post it note I found in my local supermarket. Using brown , skin tone and red Promarkers colour in the image. 3 - Using broken china and mowed lawn (Tim Holtz) distress ink pad, cover the white area with a blending tool. 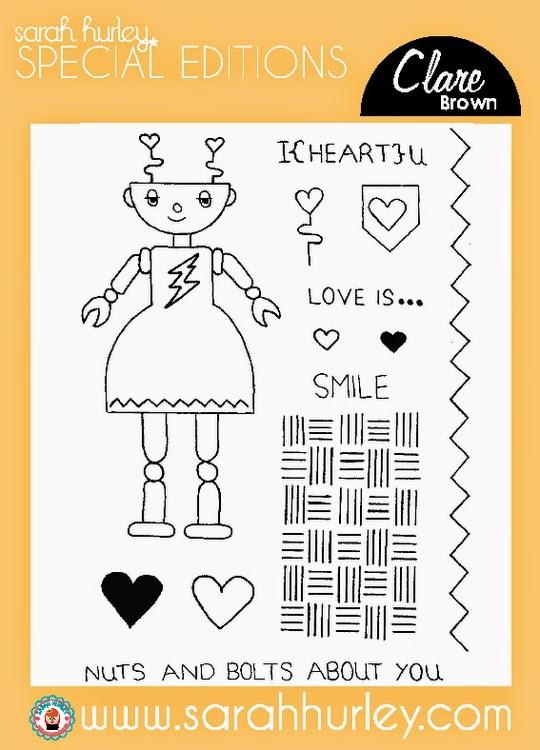 4 - Using my 'Bity' robot stamp set add the ziz zag border, heart stems and metal background stamp. 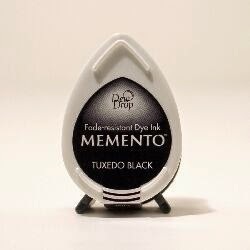 Again I used a black memento ink pad. The hearts were then coloured, again using red Promarkers. 5 - Next create the heart background using Sarah's stencil and the broken china ink pad. 6 - Keeping the stencil in place use a black fine liner pen to outline the hearts. 8 - The 'MARCH' stamp was stamped directly on to the page a coloured with red Promarkers. 9 - Finally I stamped the sentiment for Sarah's 'A Few Of My Favourite Things kit' onto white card and layered it with red card. I then doodled a border using a fine liner pen. Thankyou so much much for dropping by and we would love to hear any feedback by commenting below. 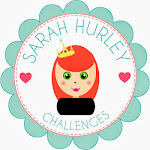 Or perhaps you want to share any projects you have made with Sarah's products. Thanks Susie, I really like this colour combination too! Love it Clare. It's so colourful and fun.